Co-Creating Your Most Enlightened Life! We don’t stop where our skin stops. There is far, far more to us than meets the eye. as many circuits as possible to the Cosmic Lattice or Universal Energy Source. spontaneous release, even without insight, in a single heartbeat. and the task at hand is the facilitation of that reality. And that moment is always – NOW! in a way that only The Masters have done previously. We are a part of the Cosmic Lattice (Universal Energy Source)* simply by virtue of our existence. Our individual energy field or UCL** is our personal connection (and acts as a transformer) to the Cosmic Lattice. We can always strengthen our connection to the Cosmic Lattice by energy work and/or intent, in much the same way we strengthen the muscles of our physical body with regular exercise. The energetic fibres of our individual energy field (UCL) are composed of conscious elements of light. They respond to our intention. 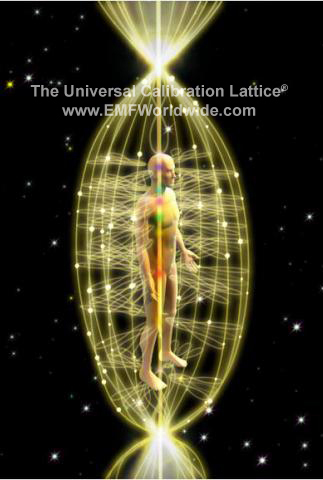 Each EMF session calibrates and strengthens the entire UCL which stretches, releases and reorganizes itself into the next highest pattern of balance, thus opening as many circuits as possible to the Cosmic Lattice and larger aspects of Self. The calibration process occurs for everyone, whether or not one is conscious of it. The core of our being holds unlimited potential. The stronger the flow of energy within the core, the greater the access to the wisdom/knowledge within. when he invites us to hold the full charge of our being. to the place in ourselves where love, healing, and peace begin. Why have an EMF Session? with the Unified Energy Field or Cosmic Lattice. There are 13 separate phases arranged in sequence to build on each other. Each phase has a specific focus and intent to calibrate a different part of the UCL and activate the associated sacred template of light. Because the UCL is a holographic structure a total rewiring occurs throughout the whole UCL by calibrating a part of it. While a single treatment may be all some require to establish an essential balance and harmony, the benefits of all 13 treatments is immeasurable. 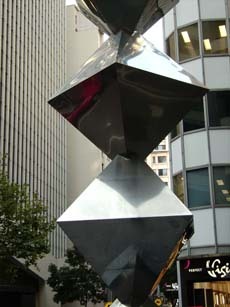 Holographically placed through and around the UCL are 36 octahedron-shaped Sacred templates of light. It is through the sacred templates of light we can access and unlock more of our unique potential in “Now” time. The templates of light and energy are patterns of energetic coherence designed to support the next steps of becoming who you truly are. The energy radiating from 2 four-sided pyramids joined at the base represents the foundations for manifesting “as above so below” in the New Energy. During a session your unique geometric patterns of light within your sacred templates recalibrate to the next level of potential appropriate for your evolution, unlocking more of the wholeness of Self and innate knowledge. clarity and understanding to current life situations. We now begin to think with the heart and feel with the mind. holding us back (and powerless) into a golden column of wisdom and support. into our daily life and strengthens our ability to radiate the light we hold. The entire energy field is cleared allowing us to live powerfully in ‘now-time’. our New Future Potential beyond any previous limitations. filled with the noblest powers of mastery! The focus of phases V – VIII is the Practice of Mastery in everyday life. fuller expression of the attributes of mastery we ALREADY carry within us. As a Master in Practice you choose to expand your knowledge and increase your sight. You continue to learn and grow in an upward spiral of evolving patterns and new energetic perspectives. As you develop the panoramic view gained from these new perspectives, you see clearly the patterns of old ways that are no longer appropriately active in your life. With pure power and choice, you are now free to activate and practice appropriate actions. You are the co-creator of your own life! and the center on the tip of the nose. As a Master in Practice you are ready to initiate a new level of spiritual growth. The inspiration from the energy of a love that continues infinitely is consciously aligned with your Innate Intelligence. This session focuses on the alchemy of heart centered presence. There are two separate templates in Phase VI, one for each hand. in the middle of the hand and all the small energy vortices throughout the fingers. As a Master in Practice you continue to evolve and, in the balance of giving and receiving, your energy of compassion increases exponentially. Are you ready to access knowledge that is holding you back? There are two separate templates in Phase VII, one for each foot. on the soles of the feet and around the toes. You are invited to be fully present and complete, moment to moment in NOW time, as much as you can possibly be. Through entrainment, you align with your original resonance where you are in wholeness all the time. within the brain, and all of the energy vortices associated with the Crown Center. resonance of the Crown Center. You will consciously merge with the energy of your Innate Intelligence. New wisdom equals new ways of Being! three simple questions for a few moments of silent contemplation and reflection. The three questions set a resonance for further introspection. They are directing you to your own mastery. plus an additional card that can represent any attribute of mastery. with themselves at the current time in their life. making each session absolutely unique – as indeed is each client. Are you ready to live a life of enlightened inspiration? Are you ready to channel more of who you are? co-creation of Wholeness, Oneness and Freedom in your life. Are you ready to unite with who you really are in the core of your being in the energy of infinite love? These phases facilitate a rewiring through the very core of your being and a merging of polarities (duality) within us moving through perceived ‘limits’ to a new level of freedom and self-love in a state of union. 24 templates within the core of your being are calibrated amplifying a higher resonance of pure potential through the core of your being. During the session a merger occurs between the Individual I and the Infinite I. The client chooses specific relationships or situations that they wish to work with and an even greater responsibility is assumed for managing your own evolution by balancing the energetic charges within that relationship or situation that they are co-creating in their lives. Are you ready to transform the relationships you are creating in your life with all other things and yourSELF in the energy of Infinite love where separation does not exist? Are you ready to embrace the divine union of spirit and your biology? Are you ready to be all that you can be and stand in the pure light of your Wholeness? You are indeed an emerging evolutionary. us to new levels of freedom. occurs as we integrate the Universal Parent(s) within our own being. This generates security and peace and another level of union within our core. the New Earth and the New Human. to manifest the dynamics of your Universal Partner. the beginning and the end point of this evolutionary body of work. The New Universal Human is here – and it is YOU! 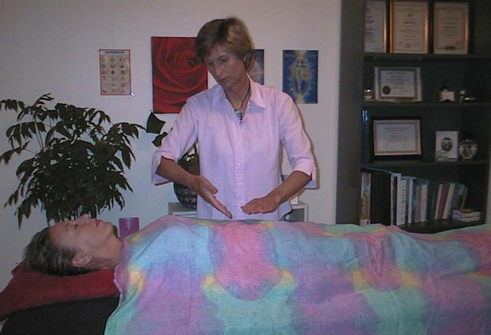 Click HERE for a description of Five additional modalities now within the EMF Balancing body of work. As with the EMF Balancing Technique®, the benefits of these additional modalities are immeasurable and life changing. They are expressly designed to further support the New Human on the New Earth. shrouded in mystery and entrenched in ceremony and protocol. by the William Dobell Foundation design winner Bert Flugelman. Much of Flugelman’s work has been described as a triumph of the human spirit. The EMF templates of light? Kryon urges us to be Self-enabled humans and encourages us to carry the full charge of our being. He says that we are already carrying more of our energy than ever before. The wonderful challenge each of us humans now faces is creating and maintaining a strong spirit capable of holding and using all of this energy! This can, at times, seem like an overwhelming task, but as Self-enabled human beings, we have earned many gifts to help us. The Universal Calibration Lattice (UCL) is one of those gifts. It allows us to make use of the unlimited energy of the Cosmic Lattice. Until now, the general path of the spiritual seeker has been vertical, that is, we have reached up to our Higher Self, or we have reached down to connect with the Earth. This movement was appropriate in the old, traditional energy. Now, in addition to the vertical movement, we are able to use a new horizontal energy movement to bring the energy into the here and now of everyday life. This empowers the co-creative process with Spirit as partner. As you look at the illustration of the UCL you can see the horizontal fibres that connect the chakras to the long fibres of the Lattice. As you learn to strengthen these horizontal fibres, you increase your ability to co-create with God/Creator. This is the new spiritual path in the New energy, the result of all the work accomplished in changing the Earth’s energy grids. We can now access the UCL to fully empower the co-creative process. This Lattice, when activated through awareness, energy exercises, and the wisdom of our emotions, is like an invisible armour that strengthens the being. As we come to realize that home is right where we are, we are being given an opportunity to build the framework with joy. “What does the energy pattern of Self-enablement look like?” I asked Lee/Kryon this question when we were in Atlanta for a Kryon channeling. As I felt the familiar warmth in my heart that I know to be Kryon, Lee said, “I don’t know what this answer means, but it is “crocheted.” Yes, what a wonderful way to describe the Lattice I have been working with for the past ten years! Awareness of and understanding the energy pattern of Self-enablement is a crucial aspect of our evolution. Fibres of light and energy radiate horizontally from the chakras. These fibres form figure eight shaped loops that feed into long vertical fibres of energy that surround and permeate our energy anatomy. This is the framework that forms the UCL. I think of it this way. The physical anatomy has many systems within it e.g. muscular, skeletal, etc. The energy anatomy also contains systems. The basic pattern of this particular system – the Lattice – is universal, i.e. it is fundamentally the same in each person. When light fibres are stretched in one part of the UCL, other fibres may respond in a different part. Like the Cosmic Lattice, the UCL is pliable and interconnected. Our personal energy lattice is a microcosm of the macrocosm! The UCL functions similarly to an electrical transformer, transferring energy from one circuit to another. This is why we refer to this process as the “rewiring for the New energy.” It allows us to receive and use the energy we are learning to release from the Cosmic Lattice through our intent. Though the basic pattern of the UCL is the same for all of us, the calibration (meaning to gauge or strengthen) is uniquely personal. It is determined by the mathematical relationship between each person’s vibrational frequency and the Cosmic Lattice. The calibration of the fibres of the energy anatomy is quite complex, and this is where the role of INTENT is so important. 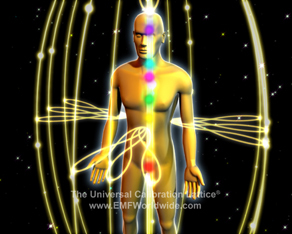 The basic intent of an EMF Balancing Technique® energy session is to balance the human electromagnetic field, allowing the individual’s energy to open as many circuits as possible to the Cosmic Lattice. The movements are graceful and simple to perform. The person receiving the session may give intent for almost anything – from healing to Self-knowledge to simple stress reduction to the reconnection of their DNA. 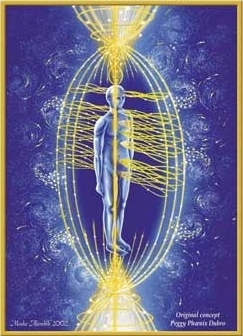 As the session progresses, a rewiring of the individual’s energy field occurs, and a new order is created within the field, producing a stronger structure to receive energy from the Unlimited Source (the Cosmic Lattice). After the connections have been made, we often see a dramatic increase in the co-creating process of life. The determining factor is soul’s growth. The process of balancing the electromagnetic field can lead to spontaneous release, even without insight, in a single heartbeat. With this strong foundation, we raise our own vibrational level, which in turn raises the Earth’s vibrational level. This is how we can personally achieve what many think of as Ascension. Kryon reminds us that the love we have given to Creator, the Masters (such as Jesus and Buddha), to our spiritual leaders, families, and to other relationships is a reflection of the love we have for ourselves. As we claim that love, Self-esteem grows. This love of our “higher Self” is vast, and the biology must be strong enough to hold it. That is why preparation is necessary! Holding that love in ourselves first, we become whole, or wholehearted. We then share our love with others from a different perspective, one we may have never known before. Activation and exercise of the UCL is an integral part of the preparation to receive the energy of Self love and Self worth as it rises like the Phoenix within us. This is a gift of Spirit as we move into grace. It had been some time in my own teaching since I had spoken of love. I felt, through the years, that the word was misused. Then I met Kryon and, oh, how my heart filled! The energy of the Earth is finally ready for the constant flow of love, and we are going to be able to handle it. We can do this graciously, lovingly, and joyfully using the UCL. If you want to be really good at communicating with the Universe you can develop this skill through practice. It’s a lot like strumming a stringed instrument. Many of you already reach out and directly strum the strands of the Cosmic Lattice, creating vibration through meditation, energy work, or intent. By strumming the strands of the UCL first, you add your personal signature to the connection, and you give the Universe your return address! The outer strands of the UCL are part of your energy anatomy. As you look at them in the illustration, you may sense that they are alive and vibrant. When you learn how to use these strands of energy, you clarify and amplify your communication with the Cosmic Lattice. The resulting vibration within the Lattice can now respond directly and intimately to you. Touching the UCL through your personal connection makes for much more potent Self-empowerment. You are invited to participate in the cosmic scheme of things in a way that only the Masters have done previously. You are a master, you are soul. We invite you to unlock your own mastery. We have been making great changes on the planet with all our “lightworker” efforts, and we’ve made great changes within ourselves. Our energy anatomy reflects these efforts as we move in the direction of holding as much light and energy as we can. Our hard work has contributed to the birth of this contemporary energy system, including the UCL. The mineral composition of your bones makes your skeleton an ideal conductor of electromagnetic energy. We are all electric-blue inside, whatever colour our skin is. The “stuff” of which the UCL is composed is a part of your energy field and has begun to take shape. As I work with the energy patterns over and over, I realize that I have the awesome privilege of occupying a front-row seat to view the evolution of the light body. The information presented here about the UCL results from working with thousands of people, individually and in groups. Ahnya began to reveal to me the figure-eight fibres that radiate from the chakras and connect us to Core energy. These are the self-balancing loops of the UCL. They form the infinity symbol, representing the infinite connection between you and Creator. I observed these light fibres feeding information back into the human biology from the universe. When I saw the biology sending information back out through the figure-eight loops, I realized we had taken a sizeable evolutionary leap with the activation of this part of the energy anatomy. Here is the means of bringing co-creation into the here and now. The returning wave of energy from the universe brings with it experiences that shape your future reality. A short time after I first observed the figure-eight infinity loops, the long fibres that create the outer framework of the UCL formed. Twelve of these long strands constitute the outer layer of the Lattice. Recently, twelve more strands that run through the middle of the figure-eight loops have become activated. Working with intent and energy exercises, along with tracing templates through the field, helps the Lattice take its complete form. What a beautiful evolution this is! As you exercise the UCL, you strengthen your capacity to hold the New energy in your biology. This in turns helps the UCL to reach its full formation. Even as you read these words and study the illustration you are stimulating the energy of the Lattice within your being. When we gain a basic understanding of how this “message system” works, we realize we truly are creators of our own reality. By sending out stronger, clearer messages in a loving, gracious way, we create a stronger, clearer reality. At the time of the 11:11 we accepted greater responsibility for ourselves. Solara’s work involved accepting more of our own energy and, as a result, our personal records were released into our energy fields. Your history – your hereditary patterns, past-life records, and all the events you have experienced in this lifetime – are recorded within the long informational fibres located behind you. These records look like tiny disks of light; they hold the information in place electromagnetically. When an excess energy charge surrounds one of these disks, it will often manifest as a reality that repeats over and over in what we call present time. If that reality is one we desire, that’s good. But too often our “energy history” creates a repetitive pattern that becomes an anchor of negativity that holds us back from forward growth. As we balance the energy charges within the long fibres behind us, our intent is to transmute the “energy history”, or the “past,” into a column of golden wisdom and support. We gently release the excess “negative” energy, now freed to be used in more beneficial ways as we co-create our reality in the NOW. We live in a time of opportunity for Karmic release in grace. These fibres are channels for the higher charge of energy we need to claim this personal state of grace. Note in the illustration the column of pure light that runs straight down through the centre of the body. Here, in your centre, is found the unification of the chakra system in progress. This is the core energy, the open circuit of the UCL that connects us to Unlimited Source. The greater the flow of energy here, the greater the release of spiritual knowledge within. As Kryon told us in Lake Geneva, the wisdom of the ages is right inside us. Spiritual intelligence is inherent in all of us; it is up to us to give the intent to use it. The marriage of Spirit and Biology is a reality, and the task at hand is the facilitation of that reality. A characteristic of this process is a feeling of profound peace, no matter what may be happening outside you. As you release the excess energy charges of the past and strengthen your core energy, the thick “tar” that slowed your progress washes away. 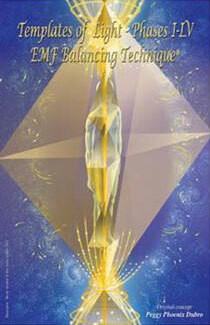 You now move toward partnership with your Higher Self, and eventually to Ascension status. Here, in your core, you can begin to experience the eternal now. The more present you are in the now, the greater the electrical charge you carry. The electrical charge of your history and the charge of your future potential all feed into the now. The power or “juice” needed for Ascension is in the unified now. The light strands in front of the human energy field comprise the field of potential possibilities. In linear time, we call this the future. Here, we place our hopes and dreams and wishes. We also place our fear-filled and worry-filled events in this portion of the UCL. The light disks contained in these long informational fibres function like transmitters, attracting “like” energy. The Universe does not make a judgement call – we have free will here. We are beings of infinite possibilities. Depending on how strong the transmission is, a potential reality may be manifested. Of course, when we focus on our hopes and wishes with positive thinking, we work toward eliminating our fear and worry. Thus, we strengthen our co-creative ability as we wash away the “tar”, and “plant” our co-creating intent in the field of future possibilities. Now you may better understand the technical information about the UCL, what occurs as you co-create, and why we are told that what we place our attention on, we become. As you study the illustration of the UCL once again, notice how the energy from behind (the past) connects and feeds information to the energy in the centre (the present). 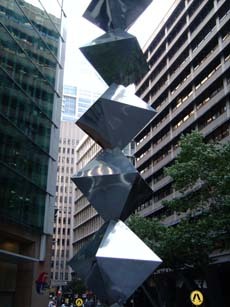 This core energy connects and feeds information to the energy in the front (the future). The channels are open in both directions so the future can feed into the present and even back to the past. Here, we begin to understand what it means to live in circular time. This connection of past, present, and future creates the eternal NOW. There really is no past, present, or future; there is only the NOW. Yet, there is a difference: we can do this in a way never before available to us. This is because of the magnetic adjustments Kryon is making on the planet. Kryon encourages us to experience being in the NOW when he says, in channel, that “this information is for those of you who are hearing this in the now, and for those of you who will listen to this on tape in the now, or read these words in the now.” In Portland, he reminded us that “the time is the same; the time frame is identical.” As we learn how to live in the arena called circular time, we are indeed “carrying the greater charge of our being.” The EMF Balancing Technique® teaches us a practical way to work in the NOW with this knowledge. 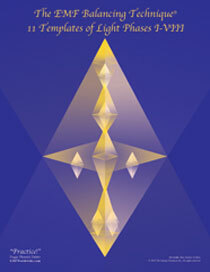 Kryon reveals to us that the Cosmic Lattice is one of the most powerful tools of Spirit that exists today. He urges physicists to study the energy of the Cosmic Lattice and promises great discoveries that will benefit humankind will be found there. Kryon also invites us to move into a vibrational frequency wherein we can personally use the energy of the Cosmic Lattice. In order to utilize more of its energy in our daily lives, we must strengthen and balance our own energy anatomy. The UCL is our personal interface with the Cosmic Lattice. This process of evolution will bring about, within our physical bodies, the complete expression of the golden energy beings we are. This energetic alignment sets the stage for a unique, interactive union with Creator. Calibration enables us to hold and express the increasing electrical charge made available to us by Kryon’s work. We refer to this as the rewiring for the New energy. The electrical charge is the spiritual spark or power that is within all of us. The goal of the call to Universal Calibration is to consciously create a stronger union with the Infinite using our personal interface, the UCL. Coincidences (or synchronicities) are just the beginning! Some of you are now living the reality that home is right where you are. The feelings of aloneness are fading, as the veil of separation from Spirit becomes ever more transparent. This process intensified in the early 1990’s and will continue to do so until the year 2012. Energy work is of utmost importance during this time! A major focus of the EMF Balancing work is the posture of balance in everyday life. This golden posture of balance is challenged repeatedly as we, our Earth, and the Universe continue to calibrate to the new structures of energetic reality that are in development. As you hold this posture, and gain the higher vibrations associated with it, you will find that conditions that are out of balance may simply fall away. Then you have what many people call healing. As you hold your individual sacred balance, you also contribute great peace and stability to the collective whole. This balance, then, is a key to the expression of grace.